Among the 14 findings of a 2017 Bureau of Indian Affairs Audit of the Crow Judicial Branch are accusations of hiring court staff members without background checks, using both the tribe’s federal and general funds to increase judges’ salaries and creating a hostile work environment for a newly elected judge, Michelle Wilson. However, as alarming as the findings may be, the report itself has caused a massive disruption in the Crow tribal court system. In fact, that there is an audit at all has some tribal officials questioning the motives of the Bureau of Indian Affairs. To be sure, the BIA audit is not out of the ordinary. 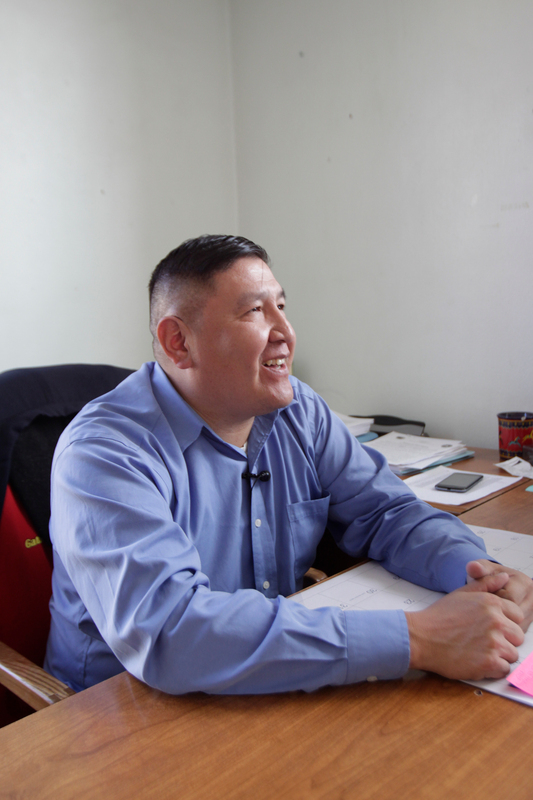 The tribe, in an attempt to create and develop its own government, is using BIA money to manage its judicial branch. The bureau, in turn, keeps a close watch on the dealings within—in the form of annual audits — to ensure the federal money is spent appropriately. In the worst case scenario, the BIA could pull its funds if audit findings are not appropriately addressed. However, this system has defined the precarious relationship that tribes have with the federal government. Even as the Crow tries to strengthen its government systems, the process brings the tribe closer to the Bureau, giving it a hefty influence over tribal dealings. For instance, following findings from the 2017 audit, the tribe’s federal government funding contract is in high risk status. According to the report the tribe is required to provide documentation before its expenses are reimbursed. As a result, the BIA has threatened to revoke the tribe’s 638 funds, federal money provided by the BIA. Little Owl said that if the tribe loses its 638 grant, its welfare, jurisdiction and legal system’s role would change. Little Owl said that the government is working with the BIA to make sure that the audit findings are addressed properly and continue to have a good working relationship with them. Chief Judge Leroy Not Afraid has been a judge for the past 12 years. Not Afraid was part of the “National Farmers Union Insurance v. Crow Tribe of Indians” Supreme Court case, which decided the jurisdiction that judges hold over the Crow reservation. Not Afraid handles administration of the judicial branch as well as the security. He said the BIA was not neutral in its report and produced inflammatory statements that reflected on the judicial branch poorly. An analysis of the BIA report, the tribe’s corrective action response and a series of interviews with key players mentioned within, show that the Crow tribal court system has a lot of growing pains to endure, quickly. On December 5, a team of reviewers from the Bureau of Indian Affairs came into the Crow tribal court to review the judicial system’s financial activity for the 2017 fiscal year. But Judge Leroy and court administrator Ginger Goes Ahead said that their findings are politically driven and intentionally written to undermine the integrity of their court system. According to the BIA’s report, released January 8, multiple allegations of mismanagement of federal funds within the judicial branch are listed, including that the tribal court had expended a total of about $6 million for the fiscal year and only about $4.4 million could be accounted for via cash receipts. “There is an appearance that the tribe’s general fund is a bottomless pit and the judicial branch can expend without a check and balance system,” the BIA report states. However, judicial branch officials insist the report is inaccurate, to say the least. Also mentioned in the report is a 2016 Chevy Tahoe, which, according to the report, was purchased with nearly $45,000 of 638 funds in late 2016 and later disappeared. According to the report, court administrator Ginger Goes Ahead told reviewers that it was purchased under the previous administration, using the tribe’s general funds and therefore wasn’t the reviewers concern. In an interview, Goes Ahead said that the Tahoe had never been purchased and a check for it was never cut. She said that the vehicle wasn’t supposed to make last year’s expenditure report and it was purchased by someone who wasn’t a part of the Crow tribe. 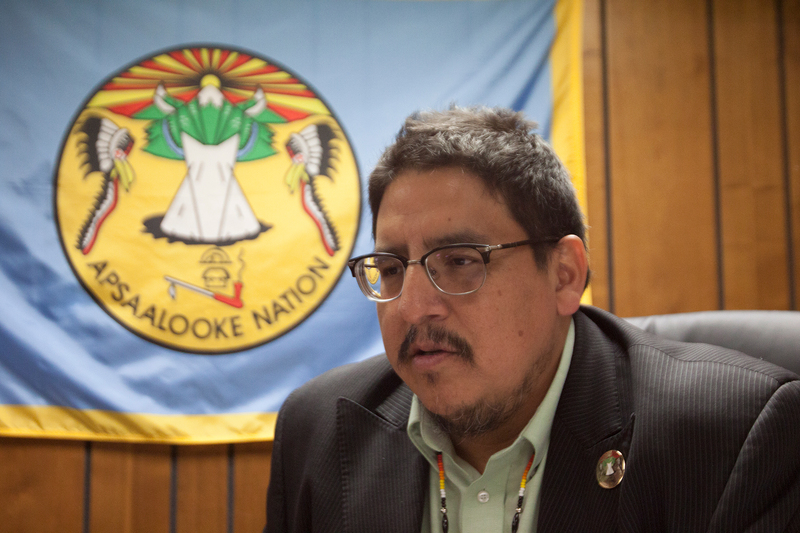 Before the tribe can truly manage its inner workings free from the watchful eye of the federal government, it must first prove to the Bureau of Indian Affairs it can handle the responsibility, said Shawn Real Bird, a state senator that represents the Crow reservation. Real Bird said that the Crow tribal government has a corrective action plan, which outlines how the tribe will fix issues listed in the BIA audit, implement and draft laws so that the federal funding is in compliance, accountable and transparent. Real Bird said this plan includes the Finance Management Act and the Justice Reform Act, two bills he hopes to pass into law. He said that the Finance Management Act will provide more transparency and accountability by allowing tribal budgets to be seen by the public and the press and the Justice Reform Act will develop a justice board and a grant writing program within the judicial branch to provide better training and oversight. “If we maintain this non-compliance, then the US government will physically take control of our tribal court and manage it for us,” Real Bird said. The corrective action plan states that clarification is needed in which personnel policies will be complied with, including salary limits and nepotism requirements and who will be responsible to ensure the court is adhering to these policies. The plan also says that unallowable costs cannot be charged to federal funds and hiring staff members without background checks needs to stop. Wilson said she was unaware of such activity within the judicial branch and wasn’t informed of anythig in the report’s findings prior to the team’s review. Among the more curious findings in the audit had nothing to do with finances. The report points out that a newly elected judge, Michelle Wilson faced a hostile work environment. Based mostly on directives by Chief Judge Not Afraid, Wilson had been denied supplies and was prohibited from various areas of the tribal courthouse. Michelle Cadena Wilson is the newly elected associate judge for the Crow judicial branch. She serves in the juvenile court and handles cases involving child custody and juvenile detention. According to the report, court administrator Ginger Goes Ahead advised the BIA review team to avoid Wilson and “proceeded to make derogatory comments about the ethics of the newly elected judge.” The report also said that Wilson is being paid less than the current clerk of court and the previous associate judge. In last year’s November 4 general election, Wilson defeated former Associate Judge Shelia Not Afraid, who is also Chief Judge Leroy Not Afraid’s wife. Shelia could no longer serve on the judicial bench and Wilson thinks this explains why he’s being so difficult with her. Goes Ahead said that she didn’t want the reviewers to interview Wilson. She didn’t think Wilson knew enough about the tribal judicial system since it was only her first day at work as associate judge. In fact, Goes Ahead suggests the BIA report planted the idea of a hostile work environment, a claim that is now causing a significant rift in the tribal court. Judge Wilson said when she arrived to her first day of work as associate judge on December 5, the same day the BIA reviewers visited the courts, her office had no working computer, no heat and no working lights. She said that the walls had three colors and paint was peeling. All that was in the room, previously occupied by a bailiff, was a desk, an office chair and a computer tower. “It was just a mess,” Wilson said. Goes Ahead said that Wilson’s office was fairly empty because the previous occupant had just moved out the day before and she thought Wilson was embellishing the state of her office a little bit. Wilson said she refused to sign required paperwork until a working computer and printer were brought to her. By the end of the day, a computer and an old printer with no copier or scanner were hooked up in her office. She said that requesting supplies was difficult. In order to receive office supplies, she had to send a request to the court administrator, Goes Ahead. She said the space heaters she was given shorted out the power when plugged in and there was no cooling system either. Wilson said on Wednesday, December 6, she walked up to the court clerk’s window at the court administration office to be let in and the clerk said he was not allowed to do so except by written permission of the chief judge. Wilson told BIA auditors that on the day she was sworn in, Judge Leroy Not Afraid issued a stading order forbidding her from going inside any other part of the court except for her office and her court. 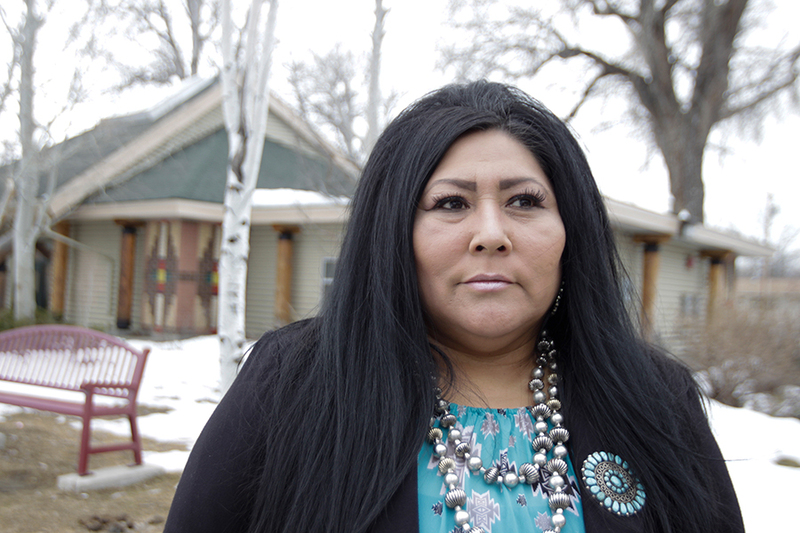 Wilson said the order also specified that she was not allowed to speak to anyone else in the tribal administration, including any executive and legislative government members, and restricted her access to case files. Judge Leroy denies the claims. “I myself personally have never denied access to Judge Wilson,” he said. He said Wilson has never filed a formal compliant against him and he didn’t communicate with Wilson until well after the BIA review. Goes Ahead said the order was written to protect the buildings in the judicial branch because her office was previously broken into and she wanted to maintain the confidentiality of personnel records. She said all staff members were given the order and many of them were under the impression that no one was allowed in the building, which may have caused the issue with Wilson not being let in. Solomon Portrait: Solomon Little Owl is the CEO of the executive branch of the Crow tribal government. He is part of the ethics committee of the judiciary branch, which is currently inactive. In a letter sent to the chairman on February 2, Leroy responded to the BIA report by stating he was dumbfounded by the conclusion that Wilson was working in a hostile work environment. “The order is professional and clear, setting out each judge’s court responsibilities and case management authority,” he states in the letter. The order was slipped in a binder given to her containing the law and order code and Wilson said she wasn’t aware of the order until she said she was refused access to areas within the court. Wilson said she refuses to follow this order and believes that the chief judge has no authority over her. Goes Ahead said there are two cases against Wilson alleging that she took money from clients and didn’t represent them in court while she was working as an advocate. She said Wilson has been ordered to return the money to those clients but to the best of her knowledge, she has not done so yet. “She doesn’t even follow the regulations that she has to follow in order to be a legal advocate,” Goes Ahead said. According to court records, a female tribal member filed a formal compliant against Wilson alleging that she was paid $200 to assist in the release of a prisoner for the holidays in November 2016 and went on holiday out of the country shortly thereafter. The compliant alleges the client couldn’t reach Wilson by phone or email. According to records from another case, Wilson allegedly did not provide assistance to her client, a different woman, in the fall of 2015 when Wilson was hired to obtain child support. She was given $130 for her assistance and, again, was not able to be reached for several months. Chief Judge Not Afraid previously had Wilson arrested for contempt of court when she was working as an advocate. Wilson said that Leroy stopped regular court and called for an emergency hearing to charge her with contempt. “He basically said there’s nothing anyone can do because I’m the chief judge and he sent me to jail without bond,” she said. According to court records, Wilson was charged with criminal contempt in August 2015 for presenting “insolent behavior and contemptuous attitude by being irate to court staff.” In February 2017, she was charged again with contempt for allegedly failing to represent her client at a bench trial because of a scheduling conflict. However, this didn’t affect Wilson’s image in the eyes of voters who elected her as a tribal judge. Wilson said that she ran for the associate judge position because she had issues with the way Leroy ran the court and wanted to see a change. “I know that the Crow people elected me to do the right thing and that’s what I’m going to do,” she said. Bethyana Pease, lead volunteer of Crow’s community involvement organization Jump Start Healing said Wilson represents a strong woman who will make a change by directly addressing the same issues addressed in the BIA audit. However, Goes Ahead stands by the notion that the BIA has turned Crow people’s opinion against the judicial branch. “They were continually overreaching,” she said. Not Afriad’s letter to the chairman also addresses the financial matters raised in the report and said that the reviewers chose to address areas that were outside the scope of their review and used them to establish non-compliance. In concluding his letter, Not Afraid requested that the letter be given to the BIA regional director with a request to explain why the reviewers did not follow the law and made untrue statements about the judicial branch. “The accusations against Mrs. Goes Ahead and myself were also done in violation of our constitutional right to due process, by being made public information,” he said in the letter. Goes Ahead said she’s willing to do whatever it takes to make sure the Crow tribal court doesn’t lose its federal funding. “I would be more than willing to contract with grant writers and people who I feel would be able to assist the Crow tribal courts in a positive, strong collaboration in order to make sure that our court system is strong,” she said. Leroy said that the BIA acted with abusive authority in writing their report and it’s an injustice to the Crow people. “The monstrosity and the draconian nature of the document published to the public is a miscarriage of justice,” he said.